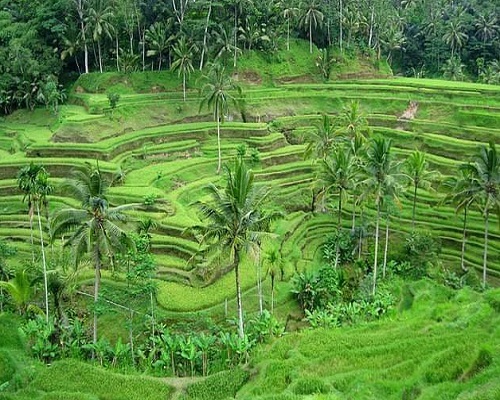 Tegalalang Rice Terraces is renowned for its wonderful scenes of rice paddies including the subak (conventional Balinese helpful watering system framework), which as per history, was passed around a respected blessed man named Rsi Markandeya in the eighth century. Tegalalang structures the three most amazing terraced scenes in Ubud's imparted district. Tegalang alone has a viewpoint that spreads down before you and away to the rice patios on the slants over the valley. The high roadside area is cool and blustery and it is a remarkable spot for travelers to stop and take photographs.